Darryl Worley & Daryle Singletary took the stage last night, November 15th, at the Nashville Palace in Nashville, Tennessee. Following an hour performance by opener Kevin Denney, Daryle Singletary hit the floor and hammered through all his hits and also nailed a few of the biggest hits of country music history. “The Queen of Bluegrass”, Rhonda Vincent surprised guests when she hopped on stage for a couple duets with Daryle in front of excited fans. Daryle kept it rolling for about an hour and a half before the other Darryl took the floor. Worley also pounded through his own hits as well as some country classics while repeatedly thanking all the vets in the audience and expressing his love for our great nation. During the performance of “Have You Forgotten” Uncle Si from Duck Dynasty paraded a US flag through the audience. Rolling right through his time slot, Worley called Denney and Singletary back on stage to run through a few more favored classic country staples to close out the show; Uncle Si also invited himself back onstage and joined in on the fun. Recently under new ownership, the Nashville Palace is a sister bar to downtown Nashville’s Robert’s Western World. Located just across the street from the Opryland Resort, it is a favorite live music venue for local Nashvillians. There’s always a dang good house band playing the front room with no cover and the free parking is a plus. It is a local honkytonk whose walls are smothered with autographs, albums and memorabilia from some of the biggest names in country music history as well as a signature wall of cowboy boots. The back room called The Parlor is a larger scale concert venue housing up to 700. The food is good and the beer is cheap. If you’re headed to our town, The Nashville Palace is a must. 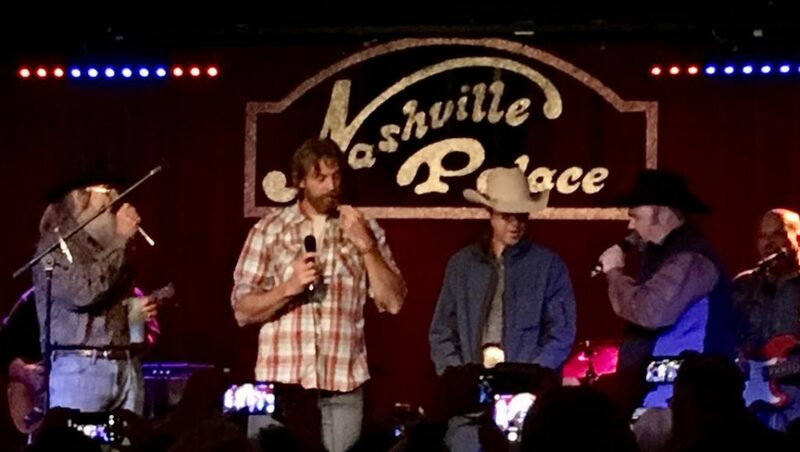 The Nashville Palace is always a great place to see some real country music and hosts some of country music’s big names. Kevin, Darryl and Daryle kept it real and held down a full audience till nearly midnight on a weeknight. All three performers of the evening, plus guests Uncle Si and Rhonda Vincent can be found on various social media outlets including Facebook, Instagram and Twitter, so follow them and see what they’re up to.